Punch it, Chewie! 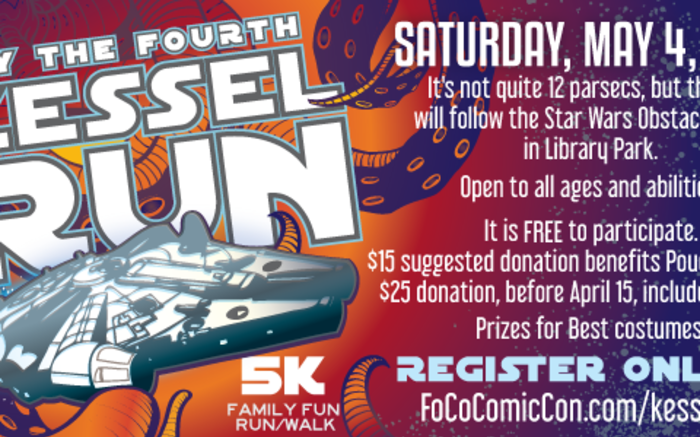 Time for the annual Kessel Run happening Saturday, May the 4th at Old Town Library! Check in begins at 9AM and the run/walk starts at 10AM. This family-friendly 5K fun run and Wookiee walk takes you around Library Park, through lightsaber training, obstacle courses, and deep into the Death Star trench. Plus, there’ll be tons of fun activities and photo ops with your favorite heroes and villains. The event is hosted by Fort Collins Comic Con and Poudre River Public Library District. 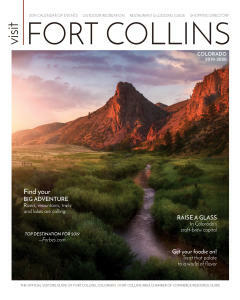 Register online at www.FoCoComicCon.com/KesselRun. Don’t wait…it’s never wise to upset a Wookiee.